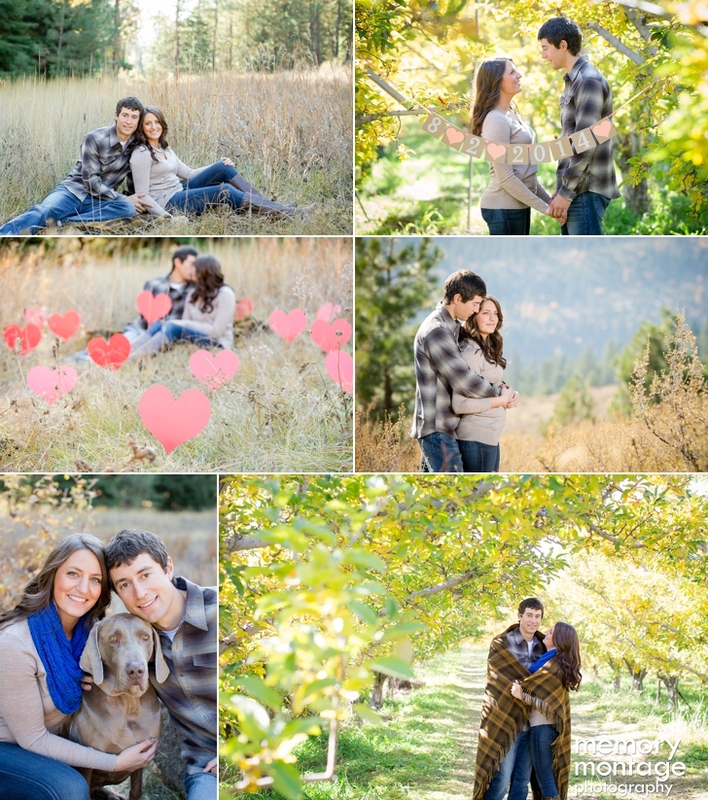 The images of Ethan and Larisa with the lush greenery were photographed at the Yakima Sportsman Day Park, and the images set in the vineyard were photographed at Fontaine Estates Winery, located in Naches, WA. Larisa and Ethan are a fun loving and easy going couple - can you spot where we asked them to climb up into a window and they took us up on it?? 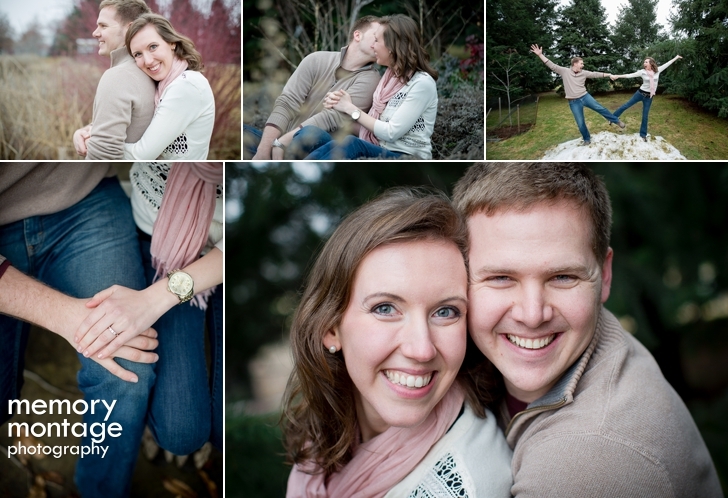 Tavis and Amy photographed this engagement session for Rebeccah and Jon in Feburary. 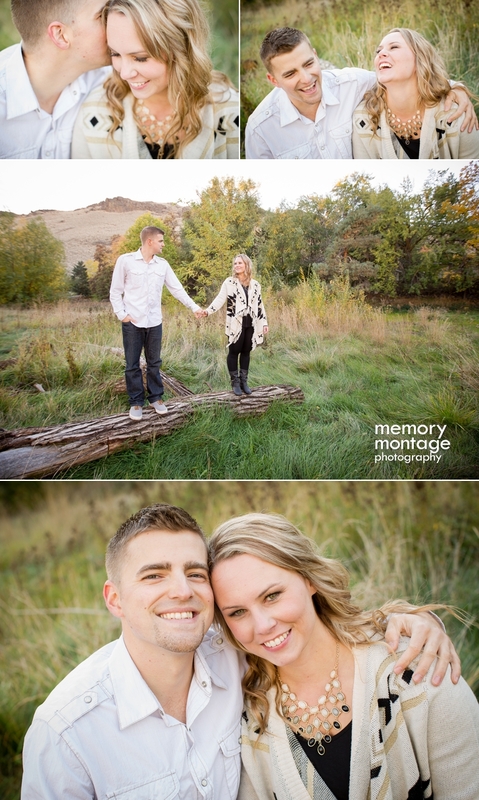 Since this happy couple enjoys spending time together outside and loves horses, we photographed them at a private family residence with horses, the Yakima Area Arboretum, and the Yakima River Canyon. 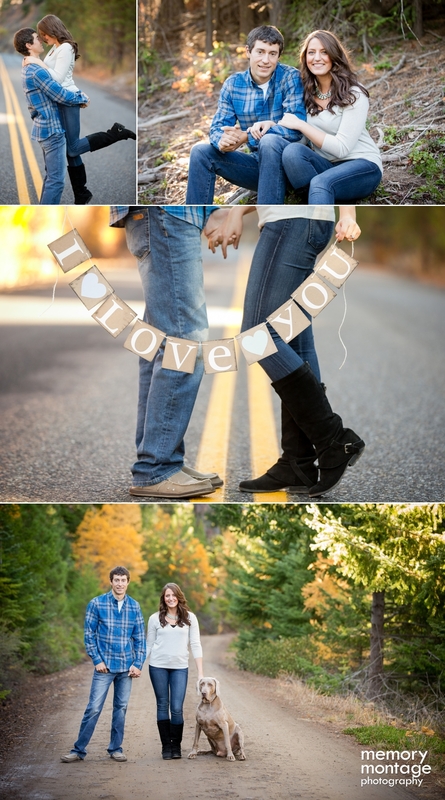 Here's a flashback to an engagement session we did a year and a half ago! 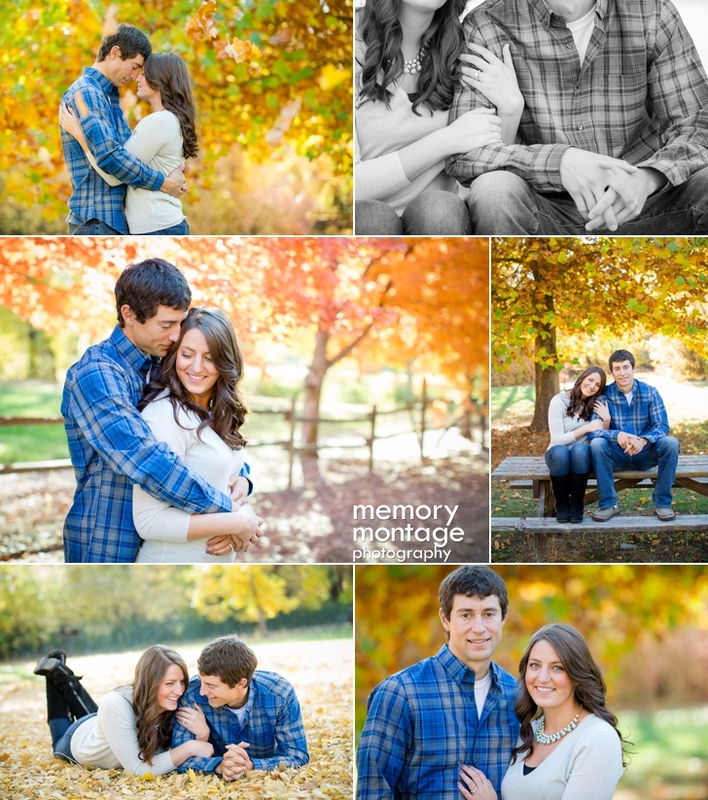 Tavis and Amy photographed Kate and Jared's session at Eschbach Park in the fall of 2014. The park provided a variety of backdrops and we were just in time to take advantage of the soft yellow color of the foliage. 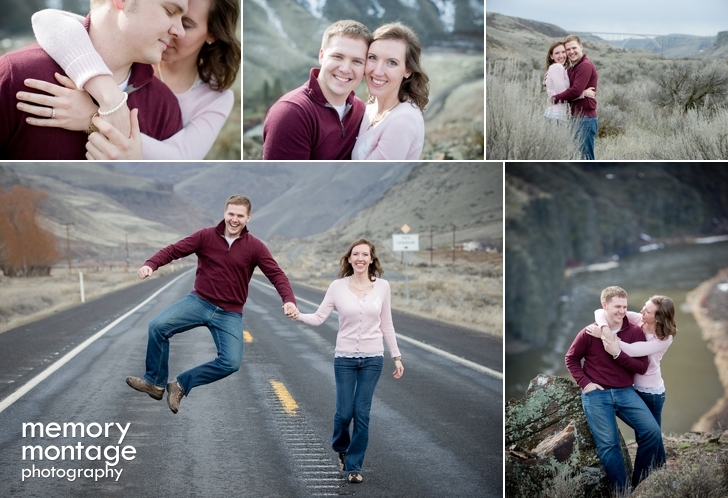 Jared coaches basketball in Ellensburg, and it was fun to capture this couple's energy. It didn't take long before Kate had Jared jumping for joy, and this man can really jump! They adore each other and their Yorkie as well, which is evident from these photographs! 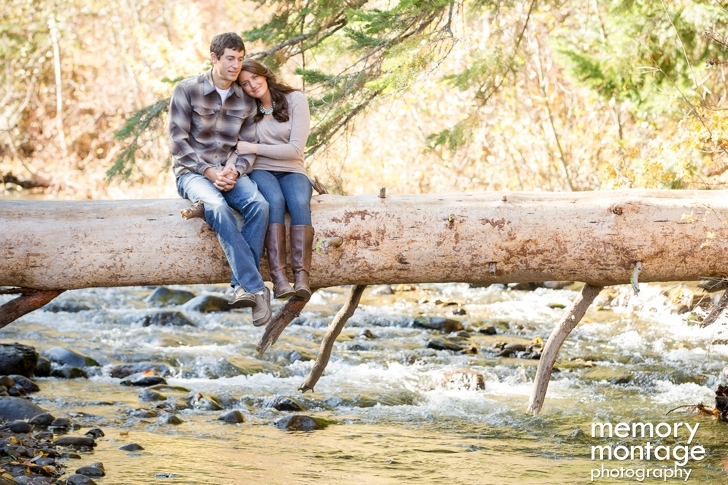 Tavis and Amy photographed this engagement session in the fall of 2013. (wow, can't believe it was already 2.5 years ago!!) We didn't get the chance to blog it at the time but it was too beautiful not to share!! 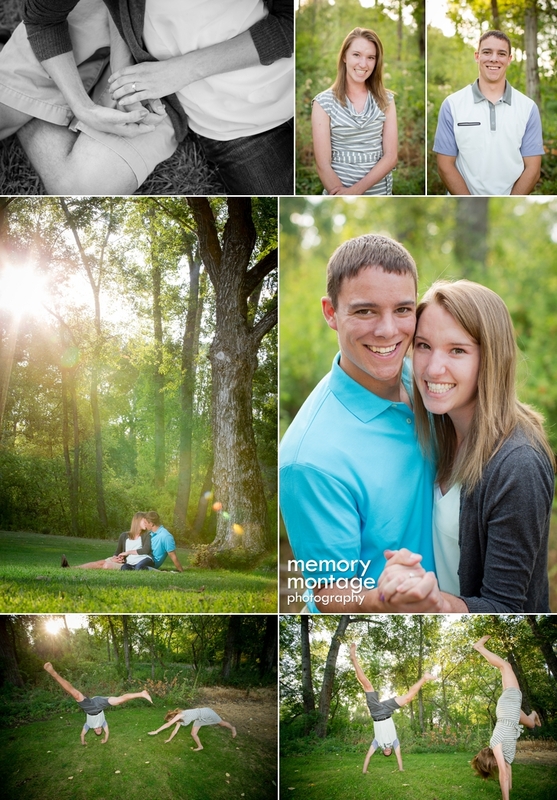 Brooklyn and Holly have been together for something crazy like 10 years, so their session had such a natural flow. They drove out to the mountains which is a special place for them because Brooklyn is an avid hunter and Holly also loves spending time with him outdoors. 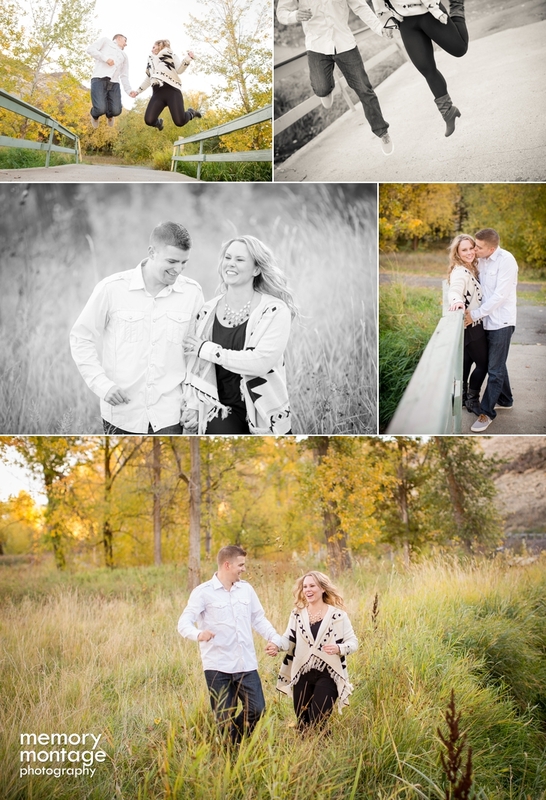 They had lots of laughs and many great photographs to show for it!